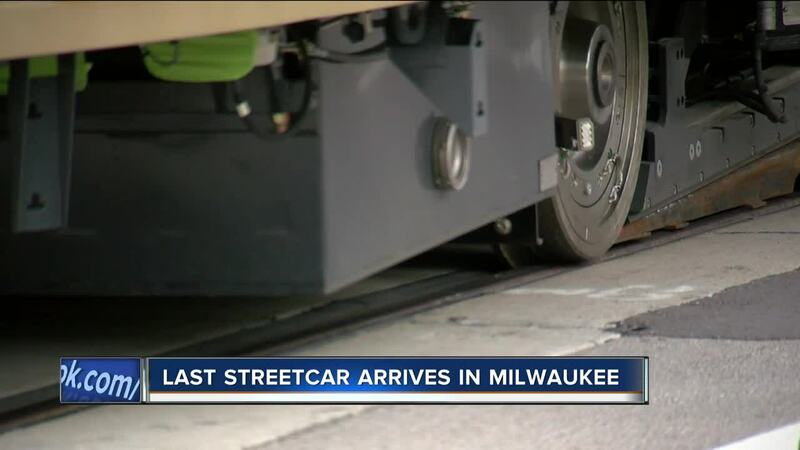 Milwaukee's new streetcar system, dubbed 'The Hop,' will officially start service on November 2nd, according to a report from TODAY'S TMJ4's partner the Milwaukee Business Journal. 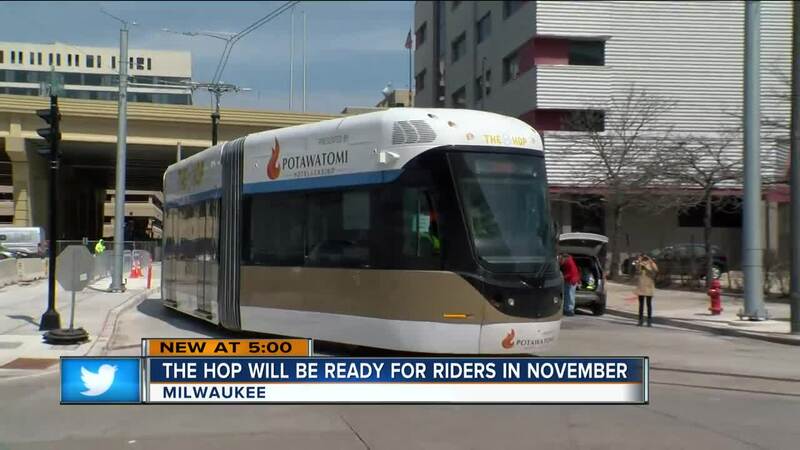 The Milwaukee Streetcar, or The Hop, will officially start giving rides on Friday, November 2nd at 12 p.m. in Cathedral Square. Milwaukee Mayor Tom Barrett says there will be a kick-off celebration to honor the streetcar, it'll be called 'Grand Hoppening'. Barrett says construction for the streetcar is on time and on budget. "Whether you liked it or didn't like it. Support it or didn't support it. Come on down, ride it. It's free," said Barrett. Potawatomi CEO and General Manager Rodney Ferguson says the company's $10 Million dollar donation, which allows the free rides for a full year, truly benefits the city. "I hope they get used to the free rides, that way it establishes some traction. Just like anything. Once folks get used to and get into a pattern of riding or doing anything in life, they will continue to do that," said Ferguson. Throughout October two and four-wheel drivers, as well as pedestrians, will frequently see all four cars out on the rails for test drives. Barrett says this testing is required by the FTA and helps everyone get more comfortable sharing the road. "You'll see the streetcars running the regular schedule. In other words they'll be running as if there are people on them," said Barrett. and Sundays from 7 a.m. to 10 p.m.
Barrett says the city is in the works to add more streetcar routes throughout the city, for example the Arena District.